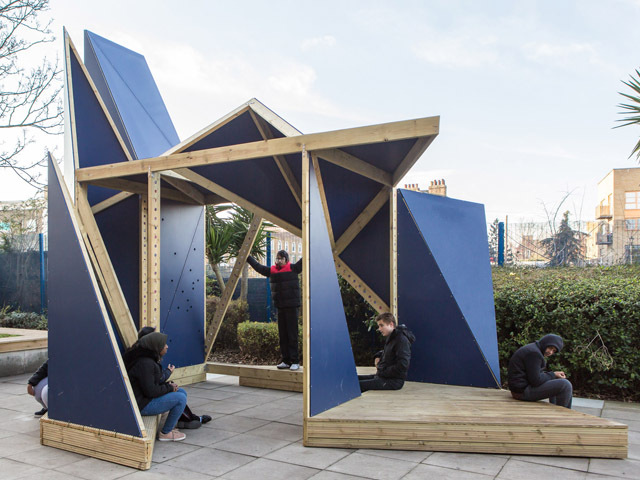 A new ‘playground room’ built for the Phoenix School in London offers a sensory play experience that fits the needs of the school’s autistic students and empowered them to have their say in the design. 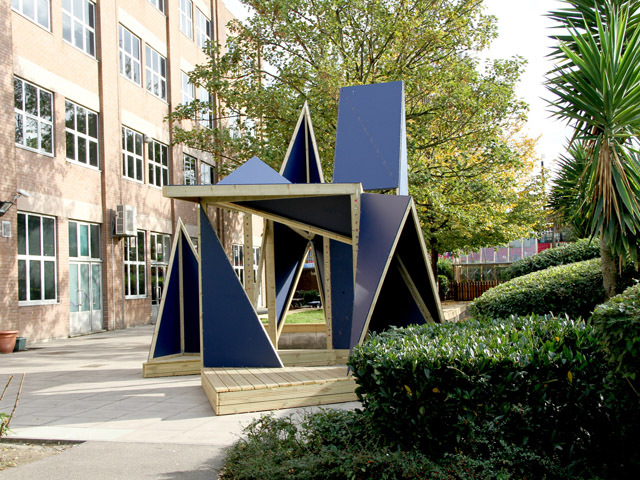 Architect Matthew Springett and educator Fiona MacDonald, who collaborate as Matt + Fiona, have worked with children with autism at the Phoenix School in east London to design and build a sensory playground, known as the Phoenix Playground Room; a structure made from dark blue folded triangles. 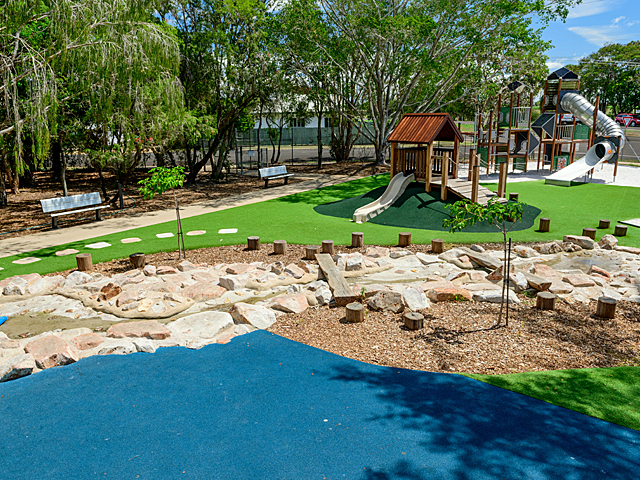 Although the project resulted in a useable playspace, equally important was to involve the children in the process of design and creation, to help add continuity during the school's move. 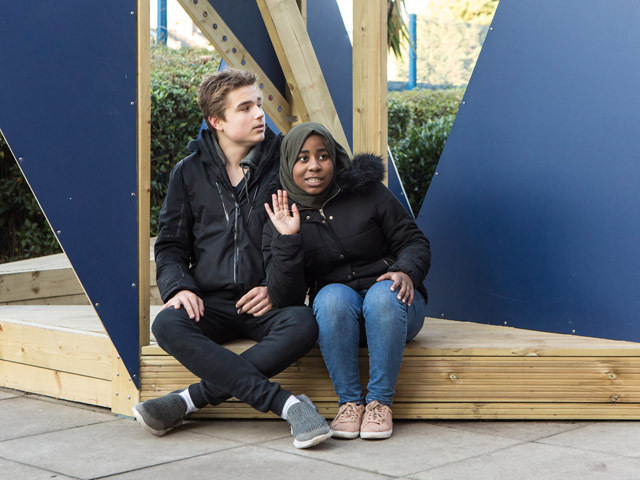 Students designed the playground in their final term at the old school building, then built it their first term at the new school. 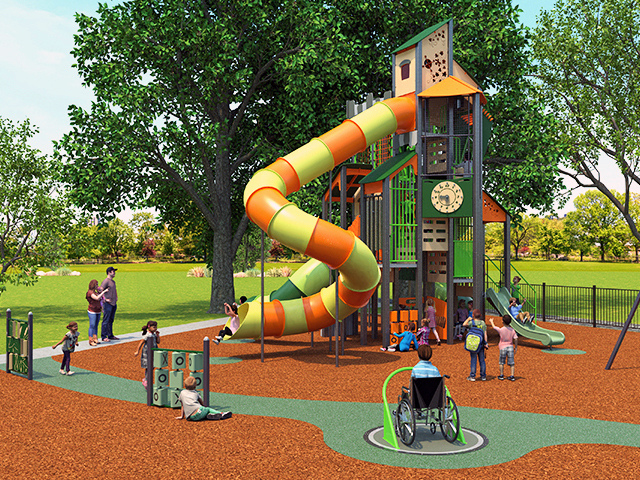 "Familiarity with environment is particularly important for young people with autism," said MacDonald. "Phoenix School is expanding and is moving twice in the next two years. Therefore the teachers were keen that there should be something recognisable in the new school's grounds, that the students felt ownership of." 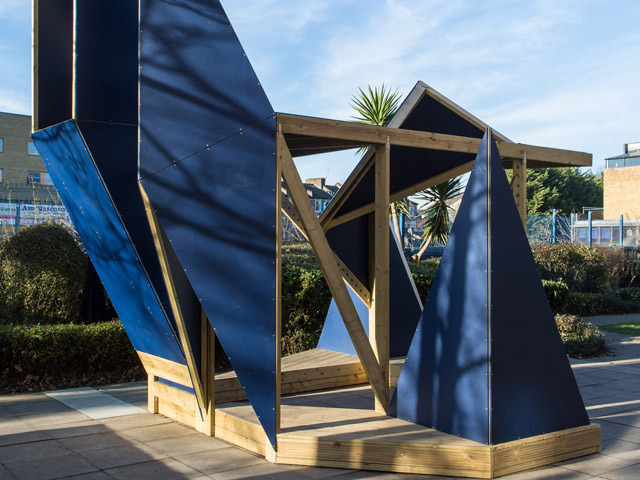 To create the playground, every student at the Phoenix School was invited to design a structure that could be built from a series of simple triangles. These designs were assessed by a small group of students, who acted as curators, and amalgamated to construct a paper build at half scale. This model was used to determine the final design. 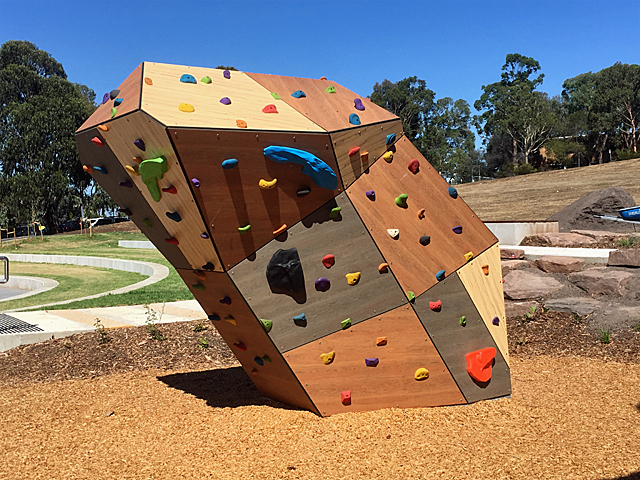 The actual playground, which was constructed with the help of volunteers, is built from a simple prefabricated frame and triangle-shaped sheets of plywood. 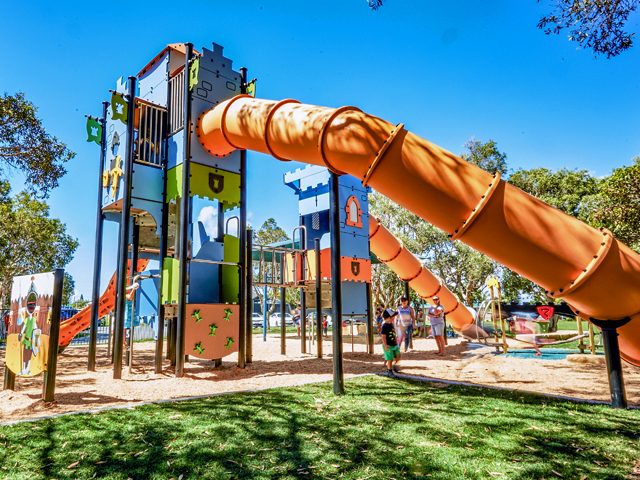 This use of prefabricated elements allowed the playground to be built within a few weeks. 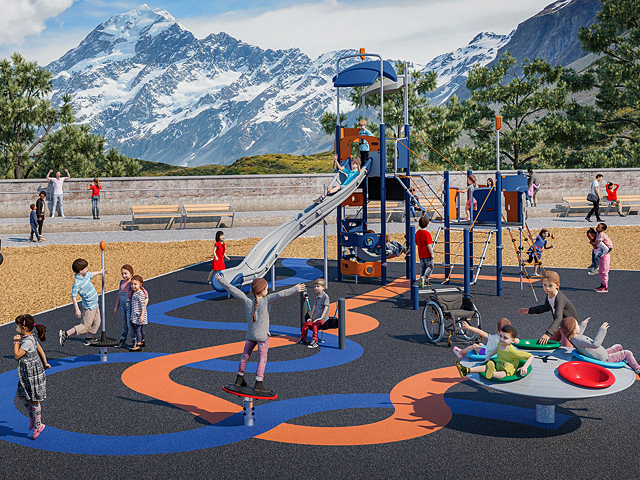 "The children got to see something imagined and ambitious become a reality in a matter of a few weeks, a hugely empowering experience," said MacDonald. 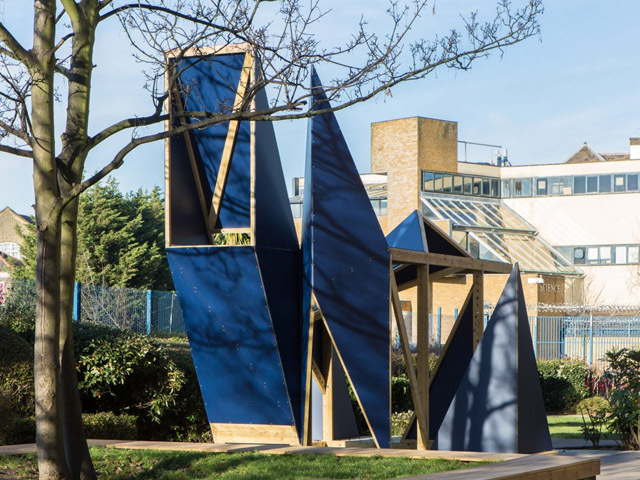 For the building’s final touch, each child at the school made a circular token from colourful oven-baked clay, which was embedded in the structure's wooden frame. 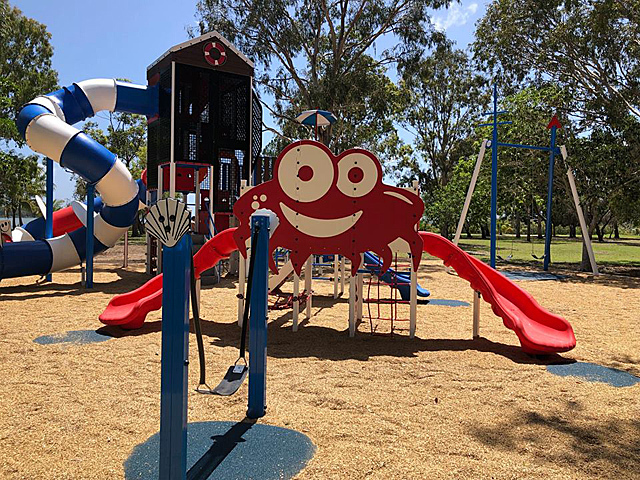 Involving the students throughout the process has not only empowered them, but also created a better playground, according to Springett and MacDonald. 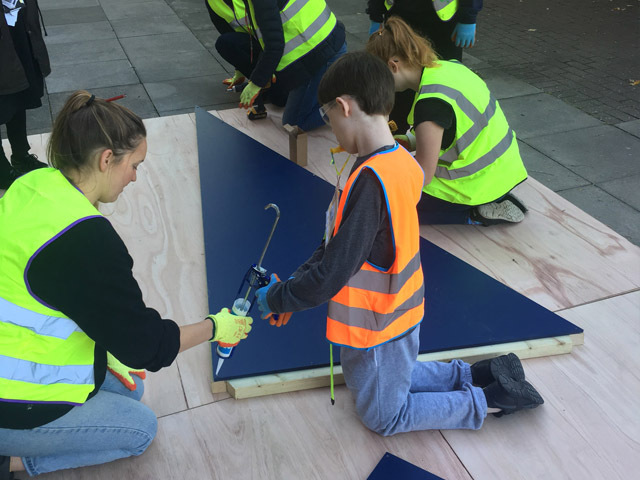 "Young people – and even more so young people with learning difficulties – are rarely asked about what they need from their built environment, and yet they are in fact the experts, in particular when it comes to playgrounds," said MacDonald. "The design responds much more to small moments the children imagined, for example curling up in a corner or sky watching. This collaborative process gives express authorship to the young people and empowers them in a way a conventional design process cannot."